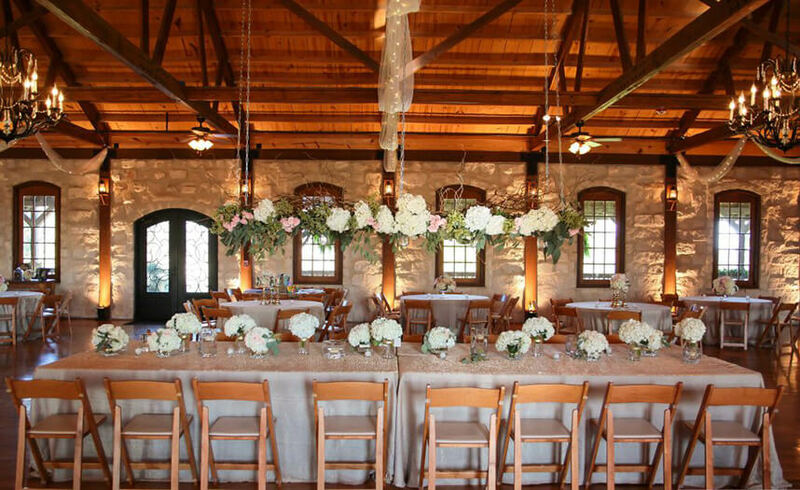 Choosing the perfect venue to say, “I do,” in is a crucial part of your wedding planning process. It serves as the jumping off point for the rest of your planning. 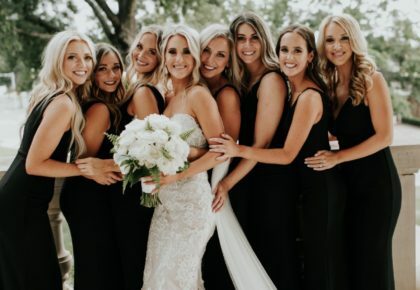 Since it’s such a focal point, we think your venue should represent exactly what kind of bride you are. Are you an elegant bride who would like a grand ballroom to make an entrance in? Or are you an unconventional bride who would like to say your vows with sharks swimming over your head? 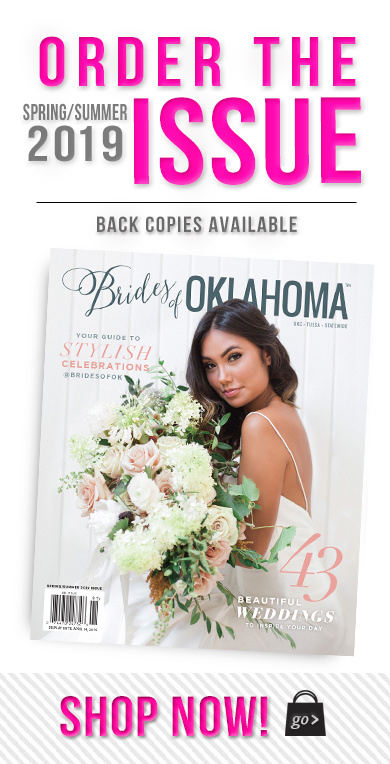 Check out this list we’ve put together of Oklahoma wedding venues to suit exactly your style. 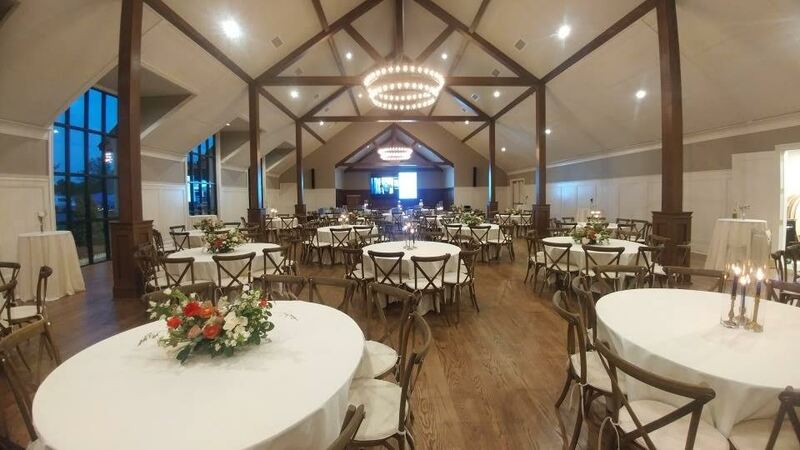 Chickasaw Retreat and Conference Center – This venue is set between the Lake of the Arbuckles and the Arbuckle mountains. With scenic beauty all around, you can’t go wrong here. 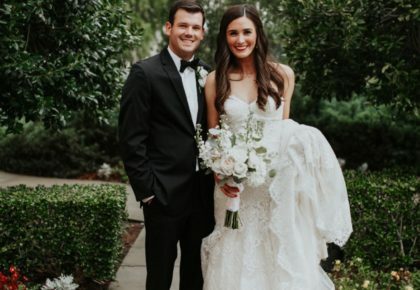 Say, “I do” lakeside, in the courtyard or hilltop with beautiful mountain views. The nature lover in you will be filled with joy after seeing this place. Bridle Creek Horse Ranch – This gem is nestled in the Osage Hills on acres of tranquil countryside. 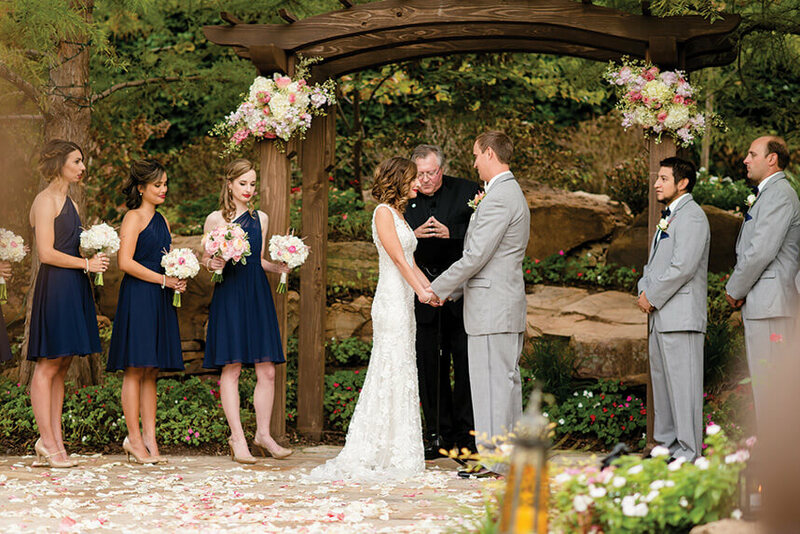 You can have your ceremony and reception inside the 7,500 square foot Main Lodge or outside on the perfectly manicured grounds of the Arbor. 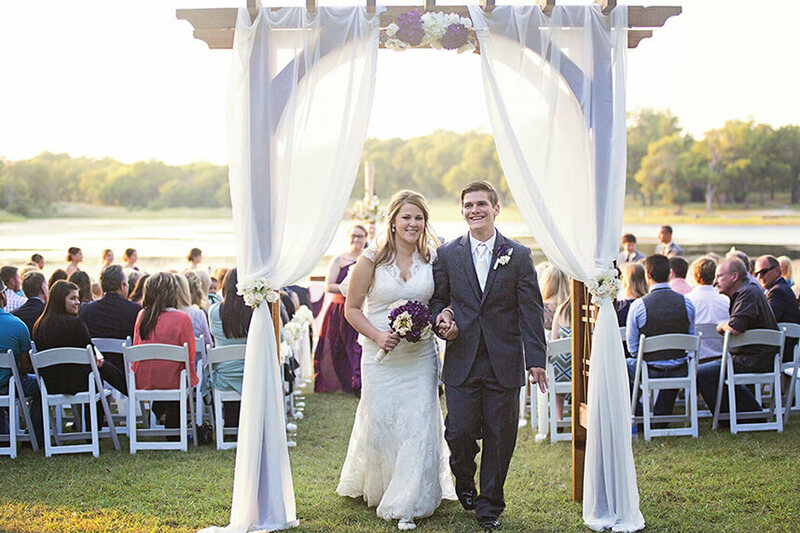 Either way, this outdoor beauty is the ideal place for bride who would rather have her wedding al fresco. 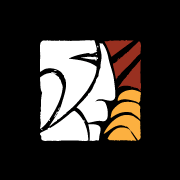 Big Creek Events – Are you looking for a more farmland-type feel for your venue? 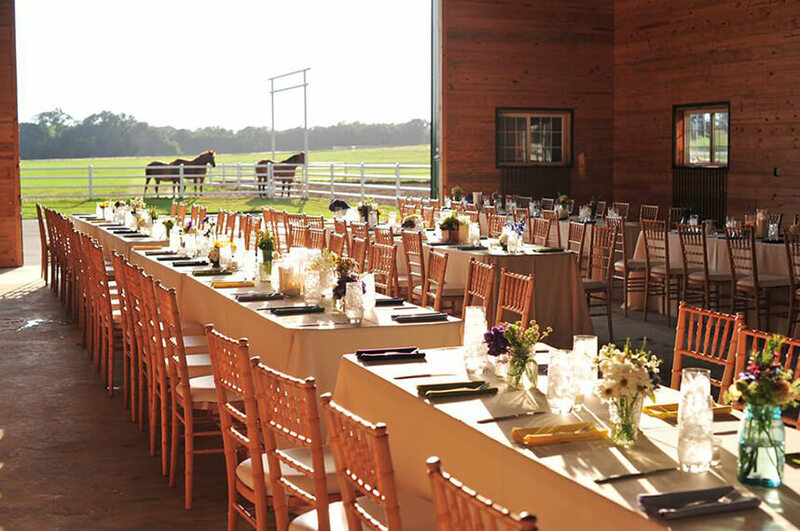 This beautiful venue is set on 1,200 of scenic farmland. 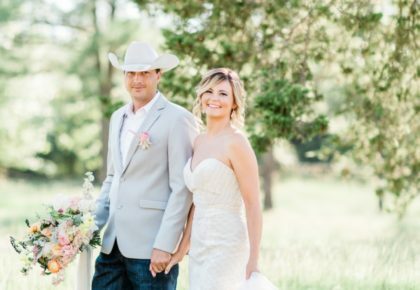 Big Creek Events provides the best of both worlds with a picturesque outdoor venue and its lovely Unity Hall that gives you the perfect traditional feel with a country edge. 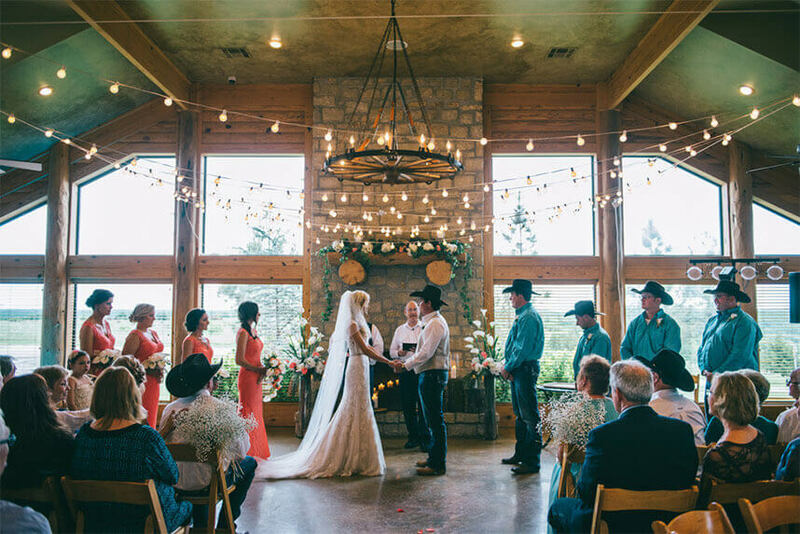 Eleven Oaks Ranch – This brand new 9,000 square foot facility was designed to be rustic, yet elegant in every aspect—from the tidy grounds, to the behind-the-scenes service entrance, to the paved roads the whole way. 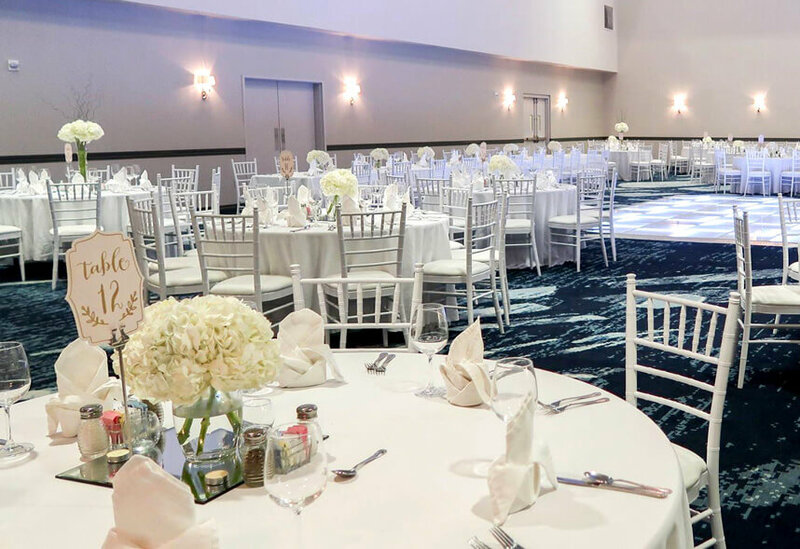 Since your comfort is their top priority, they’ll have the main room set up exactly how you want it before you even arrive on your big day. It’s currently still under construction, but is taking bookings for Spring 2017! 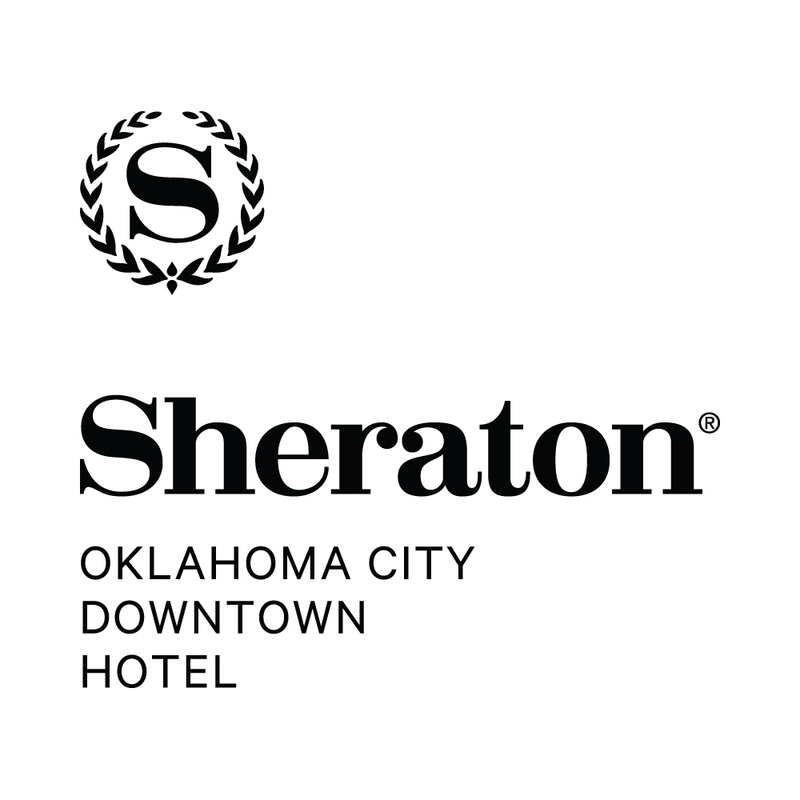 The Sheraton OKC – This elegant gem of a hotel is located in the heart of downtown Oklahoma City. With it’s newly renovated One Broadway Ballroom, including 29 foot high ceilings and hanging chandeliers, it’s exactly the magnificent space you’ve been dreaming of since you were a child. Patriot Golf Club – This beautiful golf club has an elegant country club feel with scenic views. It is nestled in the hills of Green Country, just outside of Tulsa. The clubhouse sits at the highest point of the property, which provides stunning views of The Patriot’s course and downtown Tulsa. 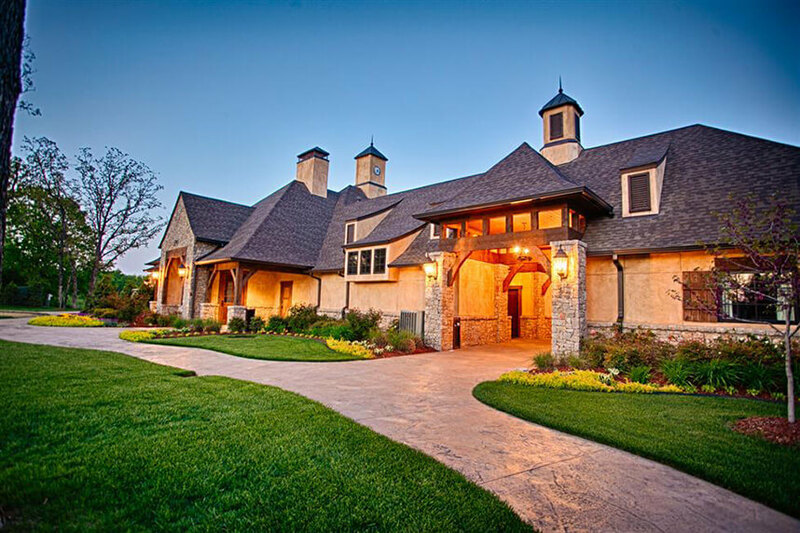 The Springs in Norman – This flexible space just outside of Oklahoma City features a 9,000 square foot reception hall with hardwood floors, open beam trusses, an entry staircase and picturesque outdoor features. It has everything you need to create the event you’ve imagined, whether outside on the gorgeous grounds or inside the hall. Dominion House – In 1923, the Dominion House was built as a Masonic children’s home and occupied until 1978. After being purchased and renovated in 2000, it was turned into the historic treasure that it is today! If you’re looking for a place outside the ordinary, the charming atmosphere and historic beauty of the Dominion House is just the right venue for you. Oklahoma Aquarium – Looking to add a little marvel to your day? 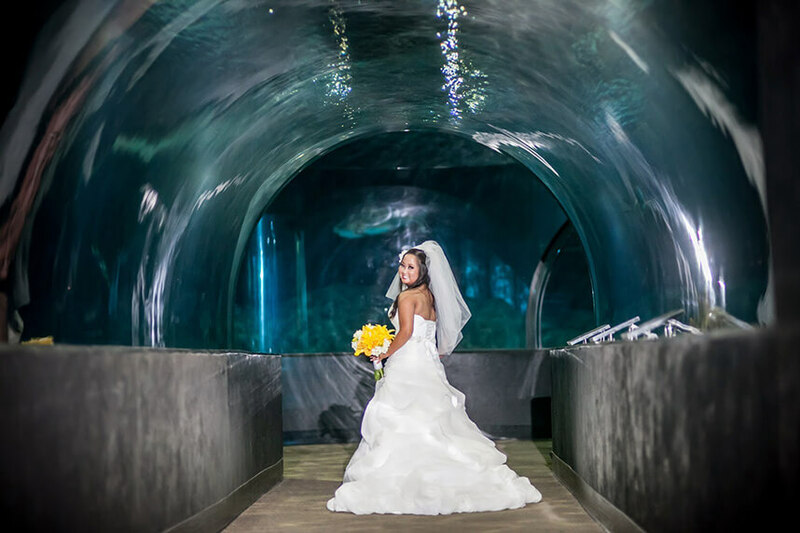 The Oklahoma Aquarium can turn your wedding into an underwater fairytale! Exchange your vows in the Coral Reef or in the midst of the Siegfried Shark Adventure. The reception will be just as stunning with the backdrop of the aquarium to provide endless photo opportunities.